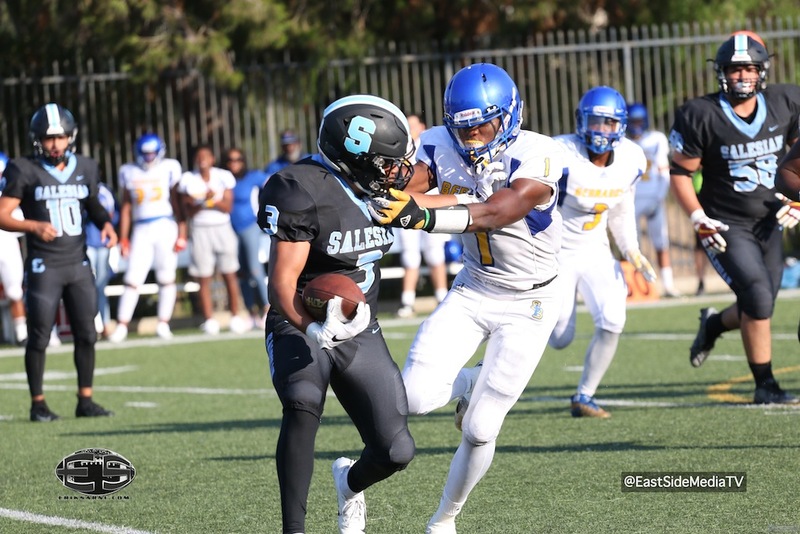 The Salesian (Los Angeles, CA) varsity football team lost Saturday’s home conference game against St. Bernard (Playa del Rey, CA) by a score of 17-9. The Salesian Mustangs will Host Garfield High School Bulldogs on Thursday August 30th 7pm. Senior Kicker Lilli Hobson scores 5 points for St. Bernard Vikings football team.